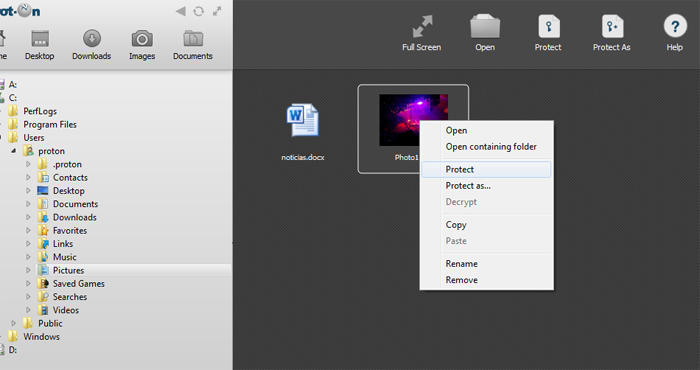 Prot-On is a handy and reliable utility that allows you to encrypt your pictures, documents and PDF files. Grant, restricts or blocks access to files even after you have shared it online. With Prot-On, you can even protect the text of your emails and blog posts. Prot-On just keeps the keys and usage permits, not the file itself.